Just before Christmas we were sent a BIBaDO for Lola to use and for us to review. We didn’t get to use it over the Christmas period as it arrived on Christmas Eve and in a mad rush I accidently left it at home! We have started using it the past couple of weeks and we are now using it pretty much every meal time when we are at home. 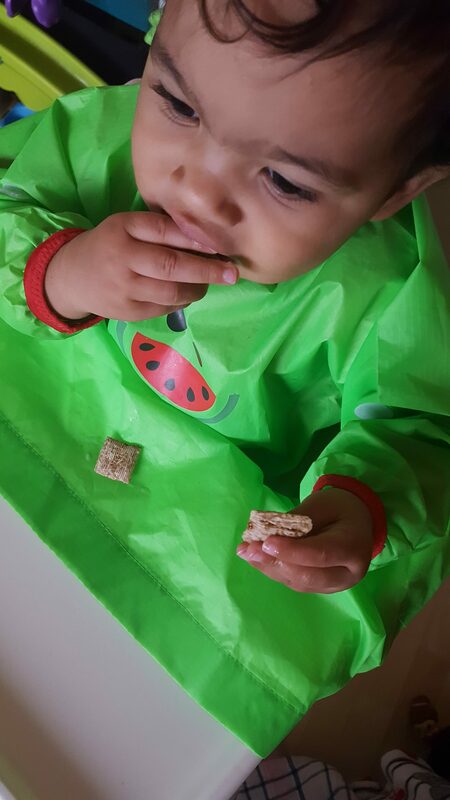 The BIBaDO is a Bib that fits over most high chairs. It covers the child, the gap in between the child and the high chair, as well as part of the high chair. The arms are adjustable with Velcro to 2 different lengths, as well as at the back . This has been brilliant it means that it is longer lasting during the weaning process. It’s easy to take the BIBaDO off, I usually undo it at the back and push it off Lola. I then lift Lola out of the highchair. Everything that is caught in the BIBaDO can then go straight into the bin! Ready for the BIBaDO to be rinsed! To be honest, I wasn’t completely sold when we first used it, but I soon completely changed my mind! Lola had watermelon for breakfast one morning. 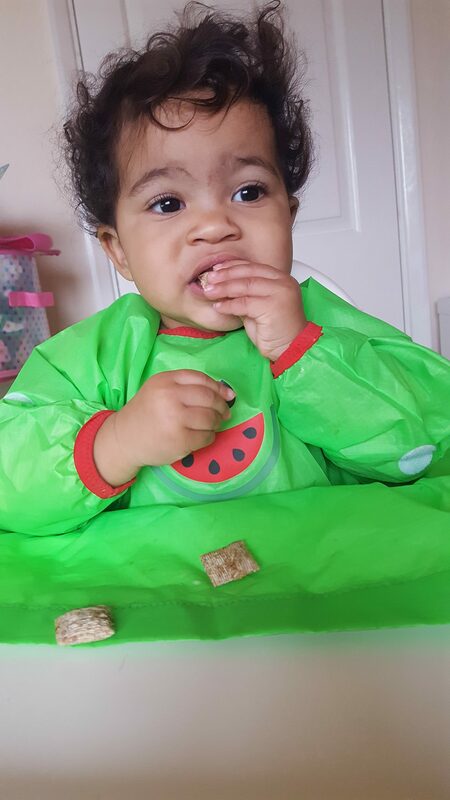 Watermelon is normally one of the messiest things that Lola eats. She’l eat some and then squeeze it to get all the water out!! It always results in a change of clothes or making sure she is only wearing a nappy and then the mess being horrendous to clean up. 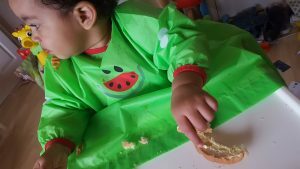 Well Lola wore her pyjamas and the BIBaDO bib and not a single piece of watermelon went near her. Since that day we have used it constantly. I love that I can get Lola dressed in the morning and then have breakfast without worrying she will get dirty! The BIBaDO retails at £19.99 and is available through the BIBaDO Website. 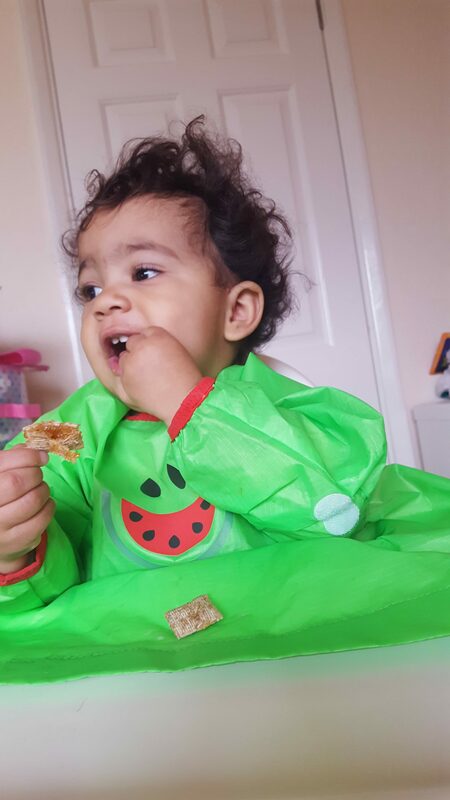 I know it seems expensive compared to other Bibs but it is certainly worth every penny. Especially with the amount of money saved with washing clothes! With the BIBaDO it is something that will certainly last a long time. It is not only useful for weaning it’s also great for art and painting to protect clothes. 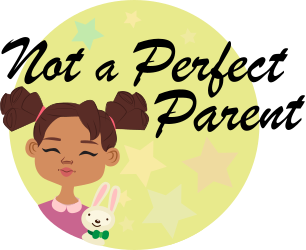 ← Lola’s 1 Year Update!